Following on from featuring on Disclosure’s first hit “Latch” in 2012 and Naughty Boy’s first UK Number 1 “La La La” in 2013, the time has finally come for Sam Smith to do it alone and release his debut album In The Lonely Hour. In January 2014 the 22 year old Cambridge native was named the winner of the BBC’s much coveted Sound of 2014 list, previous winners include Ellie Goulding, Jessie J and Adele. With all that accomplished, three UK number 1’s and a number 1 debut album (at the time of writing In The Lonely Hour was number 1 on the UK iTunes chart), surely Sam Smith won’t be lonely for much longer. The album’s opener “Money on Mind” is a brilliant song, one of the best Pop singles of 2014 infact, it doesn’t fit with the narrative of the rest of the album - which is an emotional relationship filled with heartbreak. On “Leave Your Love” Sam Smith sings, “But if I can’t have you I’ll walk this life alone, spare you the rising storm and let the rivers flow,” which summarises the album beautifully. As well as being a brilliant Soulful singer, Sam Smith is also an incredible lyricist. While his voice has a tendency of conveying an incredible amount of pain, Sam Smith’s lyrics bring the listener even closer to Sam Smith’s weeping heart. “Stay With Me” is a soulful song with a wonderful Gospel feel to it, the chorus is incredibly powerful and lifts the song to another level. “Stay With Me” was Sam Smith’s second solo UK number 1 and the third of his career. I don’t have much faith in the charts, but it’s good every once in a while they take note of good music. “Stay With Me” is one of the best songs that you’ll hear this year. "Won't you stay with me? 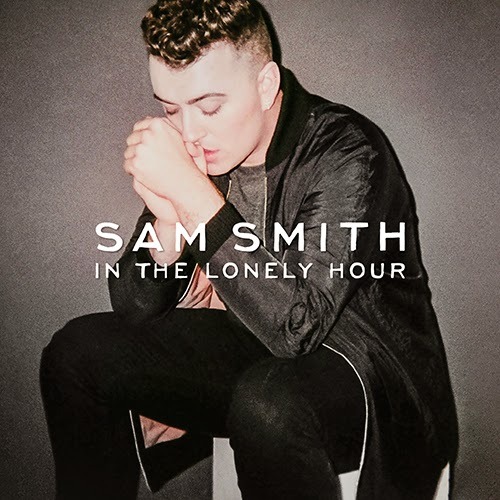 At ten songs long and just over thirty minutes long, In The Lonely Hour is a good length and fairly concise. You could take your pick from most of the album when looking for future singles such is their quality. In The Lonely Hour is one of the best albums of 2014, it’s too early to say whether it’s the best or not but any album that beats it to the post is going to have to be pretty damn special. I guess it’s lonely at the top, long may Sam Smith’s loneliness continue. Sam smith's debut album In The Lonely Hour was released today and is available now on iTunes. You should be able to stream In The Lonely Hour on Spotify very soon.